Monash Business School is committed to supporting leaders from the world’s emerging and developing economies. We are delighted to offer the Dean’s Leadership in Emerging Economies Scholarship. About the Award: This scholarship is designed to support the development of leaders who want to advance their nation’s prosperity through the pursuit of the Monash MBA and would otherwise not be able to afford to do so. This scholarship will be awarded by the Dean of the Monash Business School. As a recipients of the Dean’s Leadership in Emerging Economies Scholarship, you will have demonstrated career progression and articulated a compelling career plan that makes a genuine contribution to the advancement of your country’s economic and social development. a citizen and resident of one of the United Nations’ list of 47 least developed countries (as of May 2018). Contribution – a demonstration of the applicant’s commitment to the advancement of their country’s economic and social development. Value of Award: This scholarship may be awarded to one (1) student per cohort in the form of a full fee waiver (valued at up to $80,000). When completing the on-line application for admission to the Monash MBA, applicants should upload a series of documents including a statement of purpose. 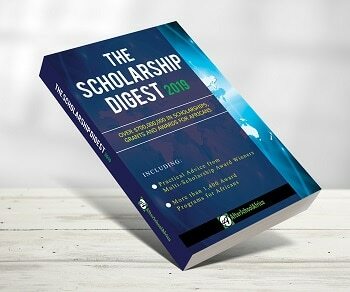 Applicants who wish to be considered for this scholarship must also upload an additional statement – the scholarship application statement – to make their case for consideration for the Dean’s Leadership in Emerging Economies scholarship. Be no more than 1000 words.